Soedesco has released the launch trailer for Xenon Racer. Developed by 3DClouds, the futuristic arcade racer is set to release for the Playstation 4, Xbox One, Nintendo Switch and PC on March 26th. 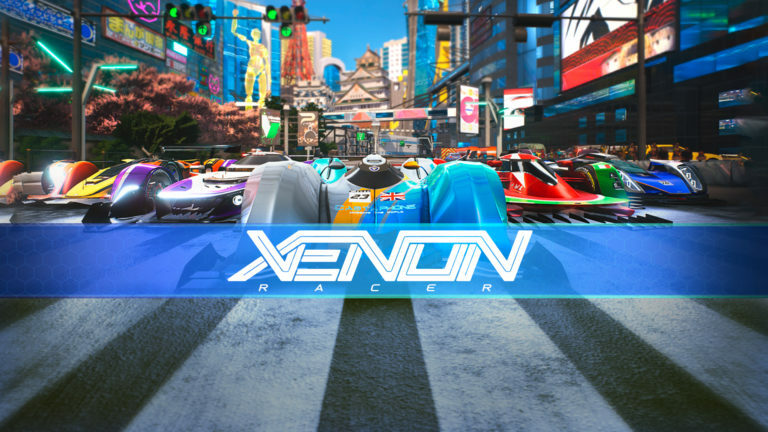 Xenon Racer offers lush, vibrant graphics, all created using Unreal Engine 4. The sleek, futuristic cars were designed by Marcello Raeli, who is known for his work with brands such as Subaru, Ferrari and Koenigsegg. Xenon Racer has both a performance mode and quality mode, both running in 4K resolution. In quality mode, the graphical settings are at their highest and the frame rate never drops below 30 frames per second. In performance mode, some graphical settings are turned down a bit to guarantee a steady 60 frames per second. Drift through the streets of major cities like Tokyo and Dubai in the year 2030. Master your drifting skills, it’s essential to get the best times on the leaderboards.